Technology has been a boon for everyone and people who are blind or visually impaired have benefited a great deal from the availability of, and perhaps, more importantly, the efforts to make technology fully accessible. There are more ways to learn and access information and entertainment than ever before, thanks to these advances in technology. While this has provided great cause for celebration (believe me, we at APH are the biggest fans) it has also come with some misinformation and incorrect assumptions about the need for braille. Let me begin by saying these advances will not take the place of braille as e-readers will never entirely replace printed materials. Braille is an established form of communication used by people around the world who are blind and visually impaired. Braille is essential to literacy, because it incorporates all the elements of the printed word, including spelling and punctuation. 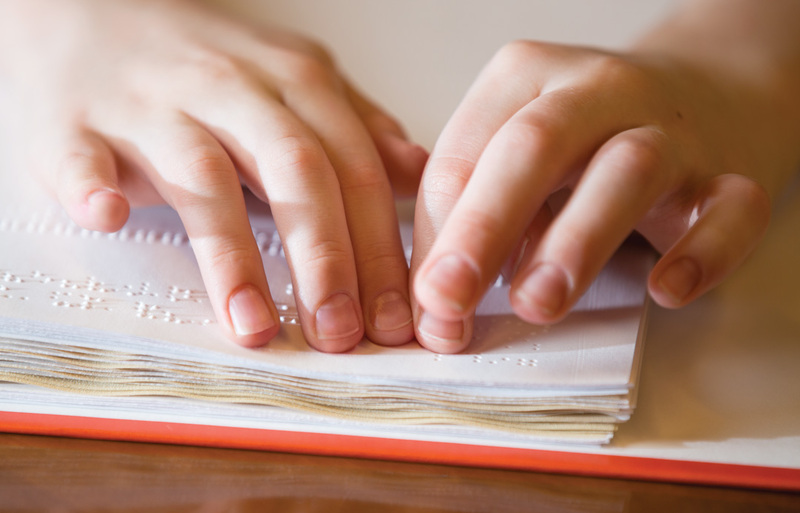 Although screen readers and audiobooks provide people who are blind or visually impaired additional ways to access information, braille is foundational for lifelong learning. At the American Printing House for the Blind (APH), we see evidence that braille is alive and well every day. We’re printing more braille pages than ever before. We’re filling more orders for braille teaching tools than in the past. And more for-profit companies are coming to us for braille printing services. That’s due, in part, to hard-fought laws that require companies to provide braille materials as part of making their information accessible to everyone. At APH, we’re so confident about the importance and future of braille that we recently introduced BrailleBlaster™, a revolutionary new software tool that translates text into braille quickly, easily, and accurately. When we started this project, our goal was to provide a tool that made it possible for every child to have braille materials on the first day of school. Braille textbooks are widely used in schools, but it can take weeks or months to produce braille materials using manual braille transcription. BrailleBlaster efficiently converts print into braille so students who are blind or visually impaired can have their textbooks on the first day of class. BrailleBlaster’s innovative technology will help put students who are blind or visually impaired on equal footing with their sighted peers—letting them show everyone that they can achieve just as much as anyone else, if they’re given equal access to information. Best of all, BrailleBlaster can be downloaded absolutely free by braille transcribers, teachers, students, businesses, community organizations, and of course, parents at brailleblaster.org. By providing BrailleBlaster for free, APH is hoping to expand access to braille around the world to unprecedented levels. There’s plenty of other evidence that braille is here to stay. Several groups are creating full page braille displays and graphic tablets and braille technology is getting more and more affordable. The Orbit Reader 20 will be the first refreshable braille device you can purchase for less than $500, making braille access through technology even more widespread around the globe. At APH, we believe in braille. We know it’s crucial to literacy and independence. Please hear me clearly on this point. We are not saying that other technology, such as screen readers that now come standard with many devices, like the iPhone, or the AI advances that read signs and materials to you aren’t important options. We’ll always support the availability of new technology that helps make information more accessible and promotes independence. But this technology’s place is alongside braille—as a complement, not a replacement. We are on the cusp of a braille revolution. 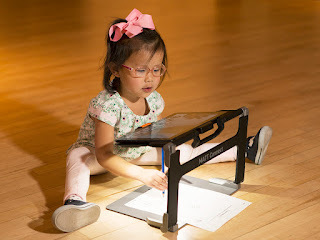 With better access to transcription, the support of accessibility laws, the hard work of good teachers, the advent of affordable braille technology and the advocacy of parents and professionals we are poised to see braille elevated in schools, workplaces, homes, and communities like never before. APH is proud to be a part of this revolution, and we look forward to sharing the exciting days ahead with all of you.